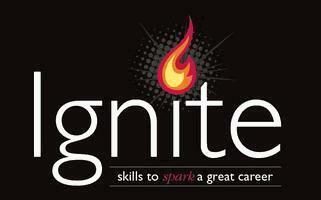 KW Ignite | Have you Found the Spark? KW Ignite is the Keller Williams real estate training program for new agents, as well as those that need a refresher course to help them master their business and see results in the shortest amount of time. With these fundamental practices in place, you will easily be able to take your business from surviving to thriving and grow the real estate career you’ve always dreamed of having. The most important thing you need to do in your real estate business is generate new leads on a regular basis. With KW Ignite, you are shown the steps that are necessary to achieve success in any market condition, and if you repeat the principles every 90 days for a year, then you will have an amazing year that will build the foundation of your business for years to come. Build your real estate career with the Keller Williams systems/models and other essential tools. Daily lead generation activities that will fill your pipeline with prospects and future clients. Time block for maximum productivity and effectiveness. Learn powerful scripts – know what to say and how to say it in every situation. The best part about KW Ignite is it’s practical, realistic and easy to apply to your daily real estate tasks. One foundational concept of this real estate training system is called ‘The Daily 10/4.’ By simply adding, calling and writing 10 people from your database daily and previewing two homes a day, you are setting yourself up to sell at a minimum 16 homes a year. It really does not get any easier. KW Ignite is all about getting the leads, the relationships, the experiences, the career, and most importantly, the income you want and deserve. Contact us today to get started with this cutting edge and practical real estate training program that is guaranteed to give you exactly what you want in your real estate career.